11/29/16 (written by Rita Kuckertz) — On Monday, November 14, 2016, the University of San Diego (USD) celebrated national International Education Week by hosting a luncheon to honor all USD faculty and staff who were nominated by their students and colleagues to receive the 2016 International Impact Award. USD’s Office of International Affairs awards this honor on an annual basis to USD faculty and staff who have made significant contributions to USD’s international education goals through their work to promote global education and understanding. A panel of five international faculty members selected the award recipients from a pool of campus nominations. This year, of the eleven faculty and staff that were nominated, two faculty members were the recipients of the 2016 award— Justice in Mexico’s Dr. David Shirk and Dr. James Bolender (Department of Chemistry and Biochemistry). Dr. Shirk, Associate Professor of Political Science and International Relations, has demonstrated a profound commitment to international education and collaboration, particularly in his role as the Director of USD’s Justice in Mexico program. 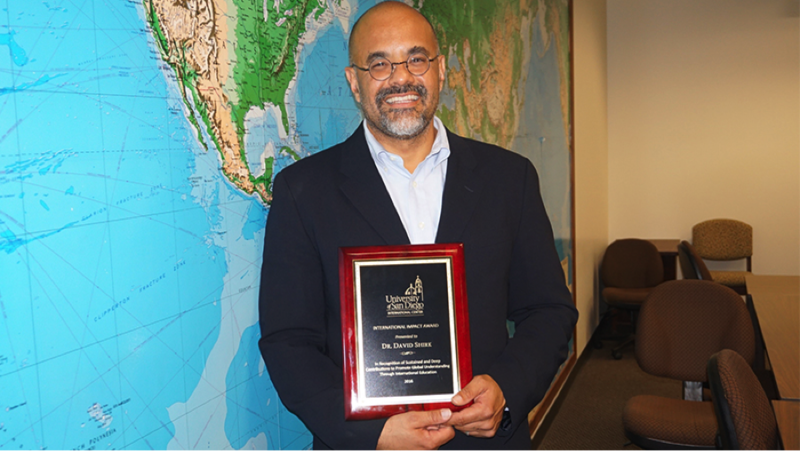 Dr. Shirk first created the Justice in Mexico project in 2001 at the University of California, San Diego (UCSD) and transitioned the program to USD in 2005. 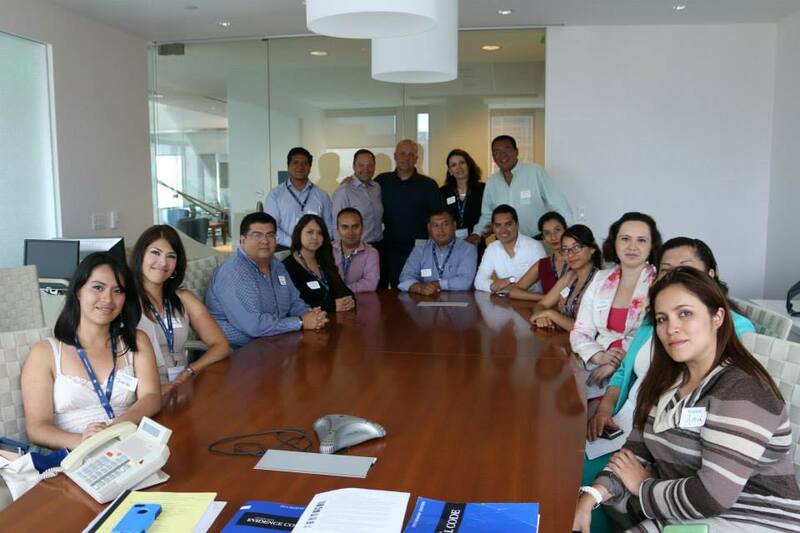 As such, this year marks the fifteen-year anniversary of Dr. Shirk’s international work through Justice in Mexico. Dr. David Shirk receives this honor just as he publishes Justice in Mexico’s landmark study on operators of the Mexican judicial system, along with USD alumna Nancy Cortés and Justice in Mexico Program Coordinator Octavio Rodríguez. The 2016 Justiciabarómetro study examined judicial sector operators’ self-reported perspectives on Mexico’s new system of justice and their role in its operation. Dr. Shirk continues his international work with a multi-million dollar grant awarded to him through the U.S. Department of State’s International Bureau of Narcotics and Law Enforcement Affairs (INL). This grant funds Justice in Mexico’s Oral-Adversarial Skill Building Immersion Seminar (OASIS), a program in collaboration with the National Autonomous University of Mexico (Universidad Nacional Autónoma de México, UNAM) Law School that provides international courses on litigation skills for UNAM Law School faculty and students. Blystone, Ryan. “USD Award Rewards Professors’ International Impact.” USD News Center. November 16, 2016. 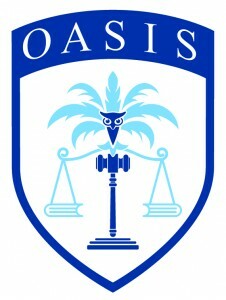 10/22/15 (written by mwagoner) – University of San Diego’s Justice in Mexico program has been awarded a $2.35 million grant to continue its work on the Oral Adversarial Skill-Building Immersion Seminar (OASIS). This is the second round of funding awarded to Justice in Mexico by the International Bureau of Narcotics and Law Enforcement (INL) through the Merida Initiative. The goal is to conduct a new set of training courses, international study trips and symposia on oral adversarial litigation skills over the next two years. Justice Alberto Pérez Dayán of the Mexican Supreme Court, Dr. Ma. Leoba Castañeda Rivas, Director of the UNAM Law School, and Dr. David Shirk, Director of Justice in Mexico and Associate Professor of Political Science at the University of San Diego. 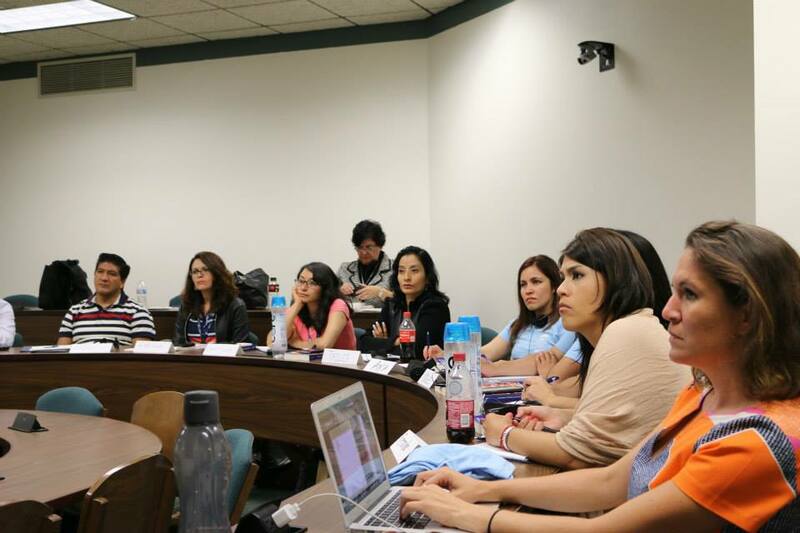 The photo was taken at OASIS international symposium held at UNAM Law School, Sept 24-25, 2015. OASIS advocacy training program is intended to provide skill building and exchange opportunities for legal professionals and students. 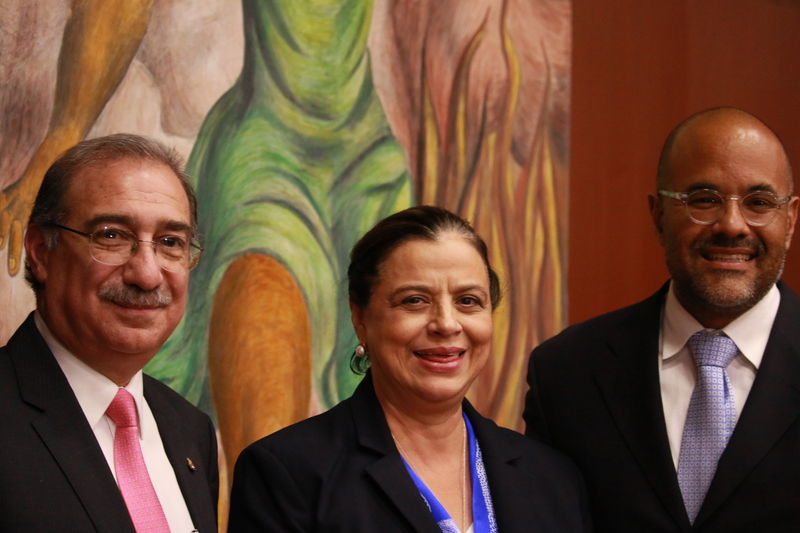 The current INL-sponsored partnership, will help law faculty and students at the National Autonomous University of Mexico (Universidad Nacional Autónoma de México, UNAM), Mexico’s largest public university to improve the long-term functioning of the Mexican justice system in anticipation of major criminal procedural reforms to be implemented by June 18, 2016. 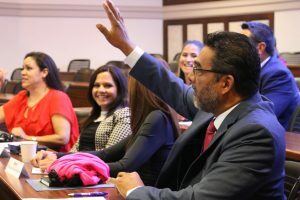 Over the course of the past year 240 UNAM law school professors and students have been trained in the OASIS program, and the new funding will allow Justice in Mexico to train 480 more over the next two years. 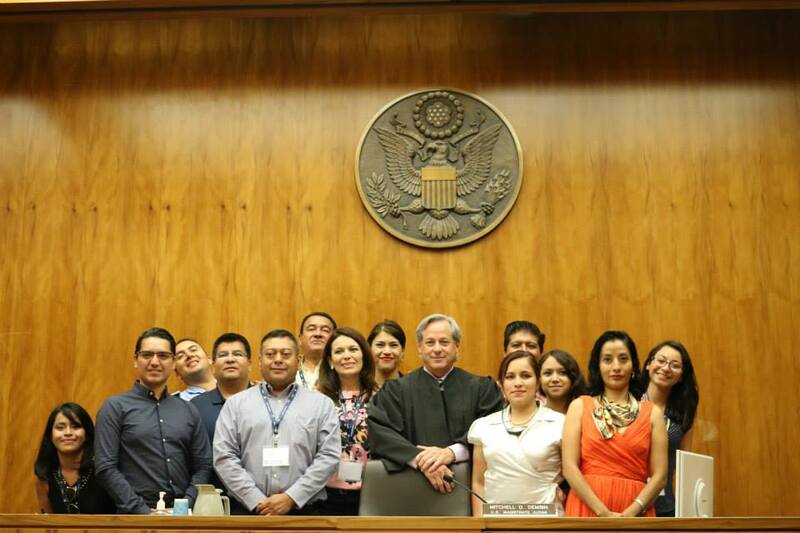 08/28/2015 (written by msmith) – Eight faculty and five students from the National Autonomous University of Mexico (UNAM) Law School were chosen to participate in a two-week study trip to learn about the U.S. criminal justice system. Called the Justice in Mexico Oral Advocacy Skill-building Immersion Seminar (OASIS), this study trip was made possible by a grant from the U.S. State Department’s Bureau of International Narcotics and Law Enforcement as part of the Mérida Initiative. 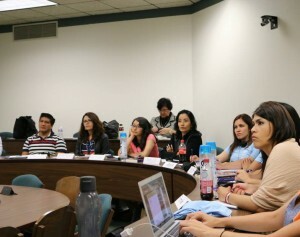 During their two weeks in San Diego, the UNAM visitors participated in a series of workshops with USD law professor Allen Snyder as well as special sessions with trial judge Chris Whitten, prosecutor Gregg McClain, criminal defense attorney Ezekiel Cortez, private investigator Juan Lopez, Judge David Danielson, and Deputy Attorney General Anthony da Silva. On the first day, participants toured University of San Diego and watched a specially edited version of the 1979 ABC documentary, “The Shooting of Big Man: Anatomy of a Criminal Case,” based on a Harvard law research project. Professor Allen Snyder led discussions following the film focused on such topics as how the argument of self-defense was a key factor in determining the outcome of the case. There are two parts of self-defense, the defense had to prove that the defendant was actually afraid and that it was reasonable. Professor Snyder emphasized how the defense attorneys had to also connect with the jury on an emotional level and not just an intellectual level to make sure they could understand how the defendant felt during the incident. Another important discussion that came from watching the film was the question why is the judge not the expert of the law rather than the jury? Professor Snyder’s response was, If Jack Jones, the defendant, was afraid, what expertise does a person need to have to understand that fear? As Professor Snyder explained there is also a downside of expertise when judges start lumping together all criminal defendants because they have seen so many cases. State prosecutor Gregg McClain discussed with participants the organization of the state prosecution system. McClain described the role of the prosecutor as being the person who decides if the great weight of the state should come down on a person accused of a crime. What matters to the prosecutor is the evidence and therefore the duty to investigate is of the highest importance. The danger of young lawyers is whether the state must punish someone to the maximum. McClain tries to show young lawyers the larger picture and look at what is right, what is justice in each particular case. Thus, for McClain, taking special attention to look at whether the defendant is opportunistic or dangerous, drug driven or antisocial, and asking the questions can the defendant be convinced not to commit crimes, if he wants rehabilitation, education, whether he is employable should also play an important role in the prosecutors sentences. The OASIS participants visited the California Attorney General’s office in downtown San Diego. Participants met with several attorneys, beginning with Anthony DaSilva. Mr. DaSilva spoke to participants regarding the appellate process. He discussed the appellate briefs; what needs to be included in the briefs; time limits, and oral arguments. Oral arguments are held in San Diego in front of the Fourth Appellate District of California, and most argument last from ten to fifteen minutes per side. The appellate court relies on the criminal codes, laws, and case precedent when deciding the case. They hear arguments and read the briefs. After the oral argument, they have 90 days to render their decision in the form of a written opinion (published) or a memorandum (not published). Following the decision of the appellate court, a litigant may appeal to the Supreme Court of California. Mr. DaSilva also discussed the death penalty. These cases have automatic appeal to the Supreme Court, and begin with the appellate courts. They are very backlogged, up to twenty years in the Federal Circuits. Mr. DaSilva explained which cases can be charged with the death penalty. He also explained the victims’ families may be present for the execution, and in California it is done with lethal injection. Finally Mr. DaSilva spoke regarding habeas corpus. 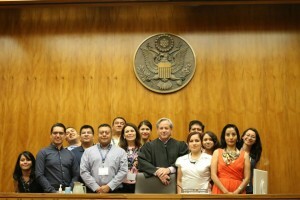 The participants were very interested in this mechanism, as there is a similar one in Mexico called “Amparo.” The grounds for habeas corpus are a violation of Constitutional rights during the criminal proceedings, ineffective assistance of counsel, or insufficient evidence for a conviction. Participants also met with criminal defense attorney Ezekiel Cortez, and attorney Janice Deaton’s private investigator Juan Antonio Lopez. Janice Deaton is also a criminal defense attorney. Mr. Cortez is a past representative for the Criminal Justice Act attorneys with the Ninth Circuit Court of Appeals. He spoke with the group regarding the realities faced by criminal defendants in federal court, the plea bargaining system and the sentencing structure in American courts. Mr. Cortez answered questions regarding any differences in penalties and sentenced imposed upon defendants who choose to go to trial and those who plead guilty. He also addressed oral trial training efforts both within the United States and throughout Latin America. Licensed private investigator Juan Lopez gave a brief introduction about defense investigation in criminal cases, about the licensing requirements for investigators, and about subpoena powers enjoyed by the defense in criminal cases. He was asked about international investigations and what type of subpoena powers he has in, for example, Mexico. Mr. Lopez and Ms. Deaton discussed common issues that arise in investigating cases for trial. Judge David Danielsen and participants met in the Hall of Justice Court House downtown courtroom where Judge Danielsen discussed the history of modern sentencing and the problems with our US criminal justice system. He discussed prison overcrowding and the fact that California has only 10 University of California campuses while it has 33 prisons. He also talked about how poor people have to represent themselves so he asked how do we deliver justice to people who can’t afford it. Judge Danielsen also mentioned racism as a major problem in this country and the disproportionate number of people of color coming before the criminal courts. 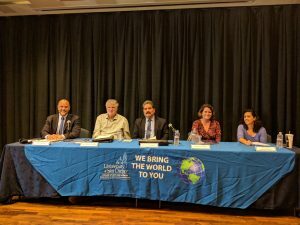 Following this discussion, participants attended a moot court of an appellate oral argument, sponsored by the Federal Bar Association at the San Diego Federal Courthouse. United States District Court Judges John A. Houston, Marilyn L. Huff, and Ninth Circuit Judge Owens presided over an oral argument regarding the Voting Rights Act. The moot court was held to commemorate the fiftieth anniversary of the Voting Rights Act. On the participant’s last day, Arizona civil and tax court judge Chris Whitten took participants through a mock readiness hearing. A readiness hearing is a hearing in front of the judge with the prosecutor and defense attorney present where the parties decide if the case is going to trial, continued or some plea bargain reached. Participants also heard from Judge Whitten on the limiting amount of power judges now have when prosecutors are given so much control with the plea agreements. According to Judge Whitten, there is no check on the prosecutor and that if a judge does not agree to a plea agreement, the prosecutor will go to another judge. In Judge Whitten’s words, the judge’s hands are bound by their plea agreements. A judge is supposed to have discretion but in our current system discretion is removed and given to the prosecutor because of plea agreements. Dr. David Shirk, Director of Justice in Mexico and Associate Professor in Political Science at University of San Diego, made closing comments about the OASIS initiative and the significance of thinking long term with reasonable expectations when contemplating judicial reform in Mexico. Participants participated in a closing ceremony with Dr. Shirk, UNAM law professor Jacqueline Zenteno Hernandez, UNAM law professor Maria de Lourdes Chamol Rodriguez, Judge Chris Whitten, Professor Allen Snyder and Mr. Octavio Rodriguez where participants were given their certificates of participation.